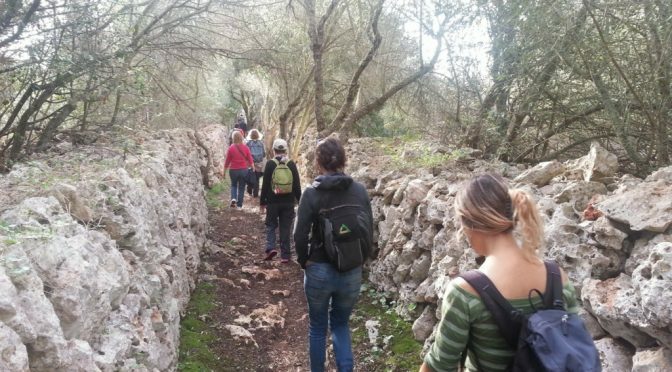 The Consell Insular and GOB are organizing an excursion to the Trepucó village from Sant Lluís going along different old paths. Trepucó is one of the largest talayotic sites in Menorca with a very large taula and talayot. Originally it was surrounded by a protective wall but it suffered from severe attacks during the second Punic war. Also, in the 18th century it was used as a battle zone between the Spanish and British. The visit will be guided by an archaeologist. The excursion on Sunday 7 will leave from the Molí de Dalt just at the entrance to Sant Lluís coming from Mahon. We will assemble at 9.30 and leave at 10 am. The walk, along different country paths, is of low difficulty and the return will be by foot to the original departure point. It is expected to end at 13.30 hours.